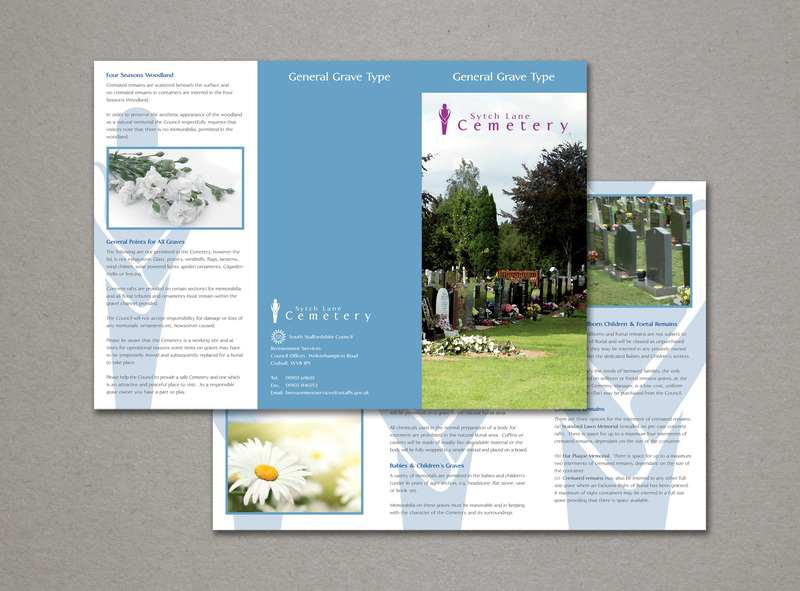 A series of leaflets designed for a cemetery located in Staffordshire. The local district council produced a cemetery which would balance a peaceful and calming setting with a distinctive but respectful character. 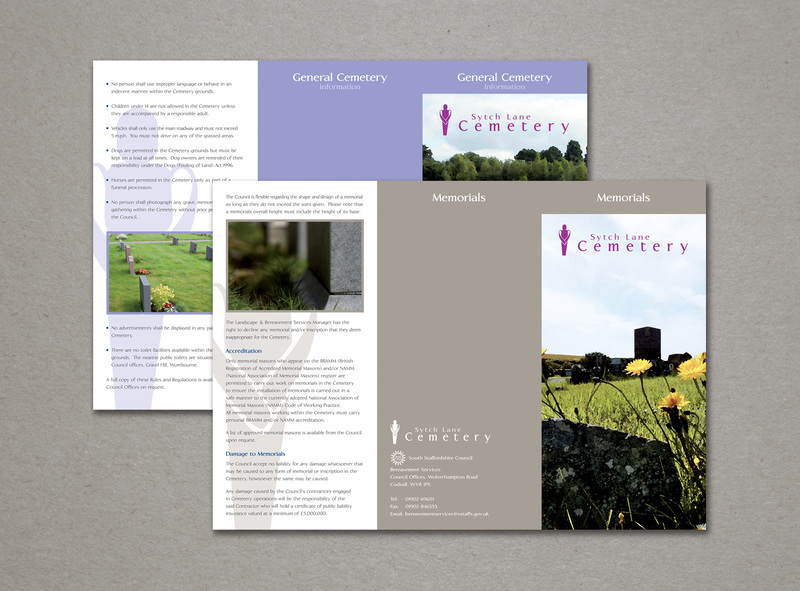 A bereavement comfort pack was commissioned to reflect the different types of burials that would be performed at this place of rest. I was also asked to create the branding that would be required for the project, which would be included on leaflets, posters and entrance signage.